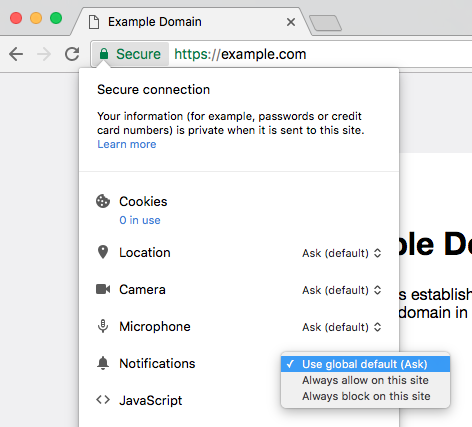 Many issues related to web push notifications can be solved by simply resetting the browser permission. That removes the old browser subscription and creates a new subscription. An alternative is to go to the general browser settings and remove the permission from there. For example in Chrome go to Preferences -> Privacy and security -> Content settings -> Notifications and click “Remove” near the permission. When the users visit your website after a reset, they will be prompted again if they want to receive push notifications: when they accept a new subscription will be generated and they will receive your notifications again.